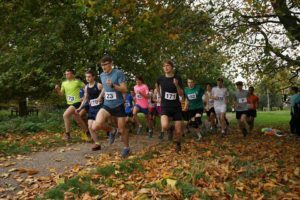 As the second college league fixture of term, the Fen Ditton Dash provided a test of fitness after the madness of freshers week. Running loops of Stourbridge Common with stretches along the river, the course was fast and flat (well, aside from the railway bridge); allowing for some great times to be run. 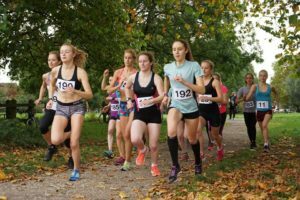 Unique to the Fen Ditton Dash, finishing positions are not the most important result. The real race is that to be “King/ Queen of the Bridge. The first 800m of the race from the start of Stourbridge Common to the railway bridge is where the true race for glory occurs. The men’s winner and this year’s King of the Bridge was second year Trinity mathmo Iain Davis. After having struggled with an injury for several months over the summer, the effort that Iain has put into cross training really came to fruition in his excellent performance at Fen Ditton. Following 30 seconds behind for second and third were Pembroke duo Jeremy Taylor and Joshua Harris, who were locked in a close battle over the 5 mile course. In total, 30 men competed in the race, with the college win going to Pembroke; fielding 4 runners and a total of 93 points. Second and third were taken by Trinity (4 runners and 74 points) and Churchill (2 runners and 51 points). The women’s race was won by Magdalene 2nd year Niamh Bridson Hubbard who put over a minute into second place. 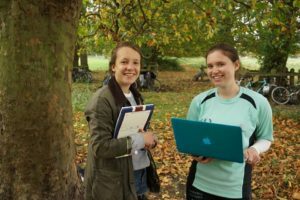 Second and third were Fiona Bunn (Queens) and Nancy Scott (Newnham), showing real promise for the strength of this year’s fresher intake. 16 women contested the course and it was excellent to see the number of freshers coming back for another race following the previous week’s FFR. In the college competition, Christs took the win with 2 runners and 23 points, followed by Magdalene in 2nd with 16 points and Queens’ in third with 15 points.